Cardiff has a profusion of what I call upscale Indian restaurants (as opposed to curry houses of which there are also a lot). 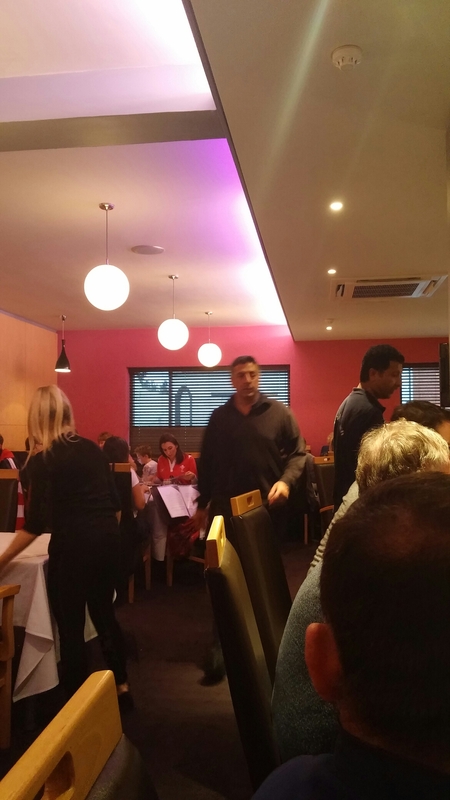 A true trailblazer in terms of educating us Cardiffians as to the delights of Indian fine dining is Anand George, the Chef Patron and driving force behind the Purple Poppadum in the Canton suburb of Cardiff. With Anand George blazing the trail others have followed (must admit I am not keen on the “Nouvelle Indian cuisine” tag line – bit 90s that) and Cardiff is now blessed with a myriad of seriously good Indian restaurants such as Mint and Mustard, Moksh, Chaiholics and the sadly currently premiseless (but hopefully not for long) Spiceberry. 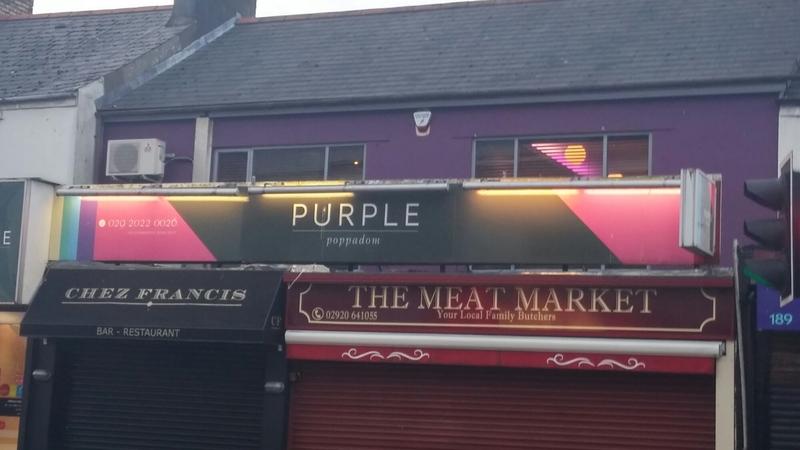 At these restaurants (including the multi award winning Purple Poppadum) you are as likely to see that Welsh peculiarity “alf and alf” (half rice, half chips) on the menu as you would a Clark’s pie and chips at Le Gavroche). CORRECTION: it seems the Purple Poppadum does do “alf and alf” 😦 . A wishful assumption on my part that it doesn’t, it would seem. 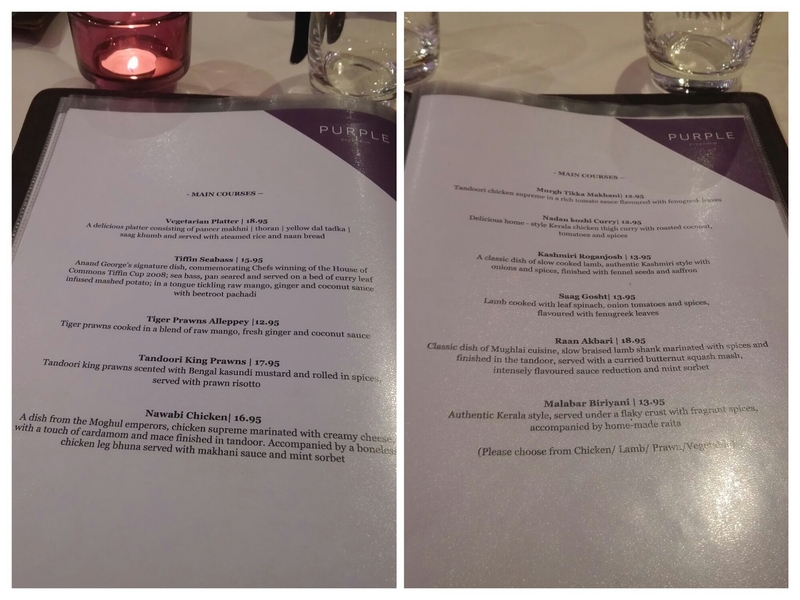 My mother, down for Wales v Uruguay game at the Rugby World Cup (for the price she paid I was half expecting her to be playing), requested we go to a nice Indian after the match and as a dutiful son I duly booked the Purple Poppadum, it being not far from my Llandaff base. Situated up a set of stairs over a butcher called the Meat Market and a cracking little French bistro called Chez Francis, it doesn’t look that promising from the outside. Inside it is a much plusher affair, athough I get the impression that most of the cash was lavished on the bar area . The plushness does not quite stretch to the dining area which is nice enough, if a bit spartan. There is very much a tardis effect to the place, with it looking quite small from the outside but having a fair number of covers. 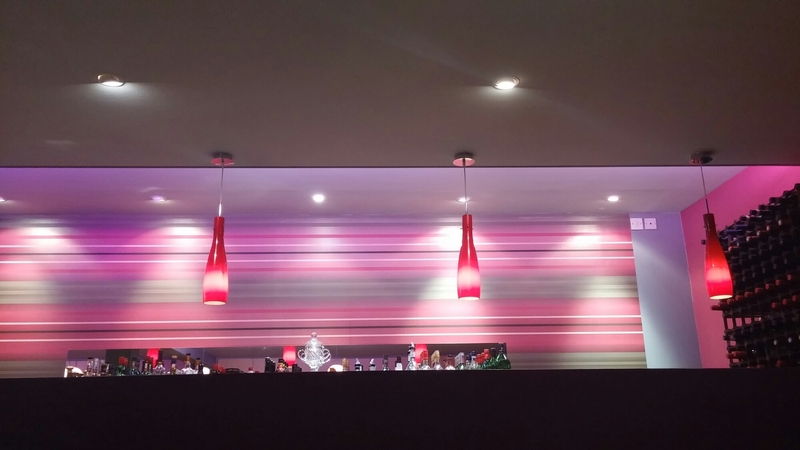 Despite the slightly spartan dining area, it is a comfortable and relaxed eating environment. The menus here are a world away from those in your standard curry house and show a real touch of invention. 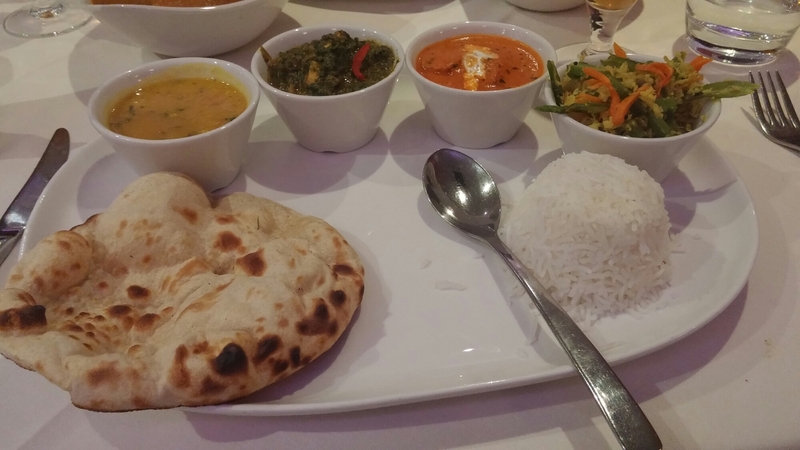 The starters are interesting and, whilst there are nods to what is on offer at traditional curry houses, what you get here is nothing like standard curry house fair. 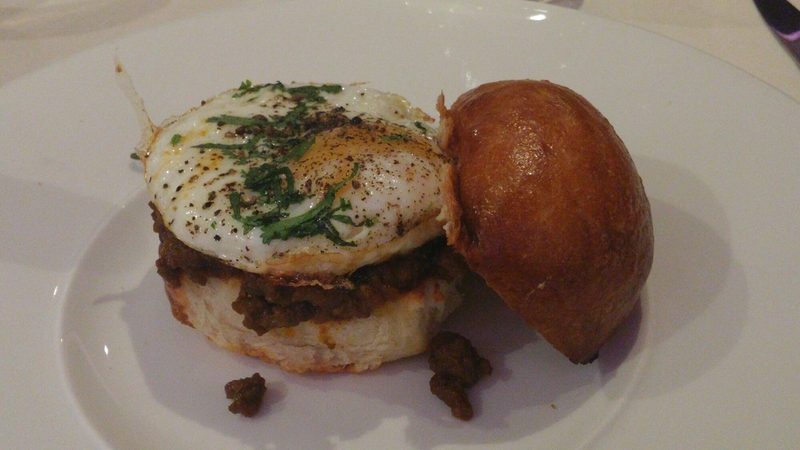 I went for a Venison Pao (£6.95), a sort of spiced “sloppy joe” originating from Lucknow with a fried egg on the minced venison and all of it encased in a soft bread roll (the pao). 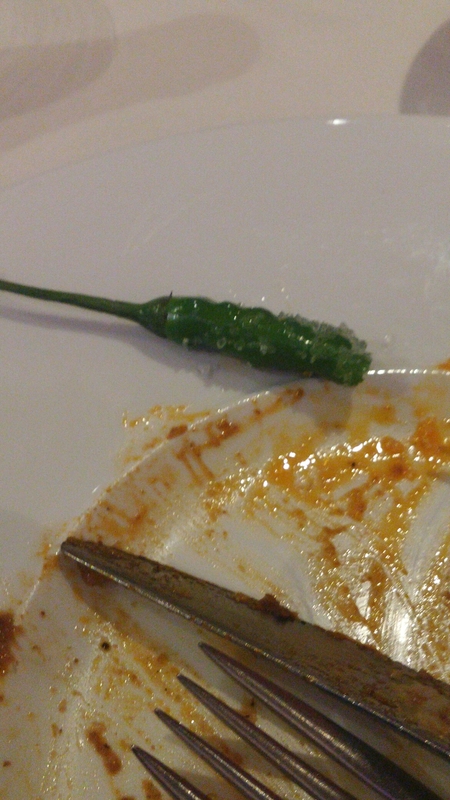 This obliterated my taste buds for a good 10 minutes and the subtleties of the spicing temporarily became lost on me. 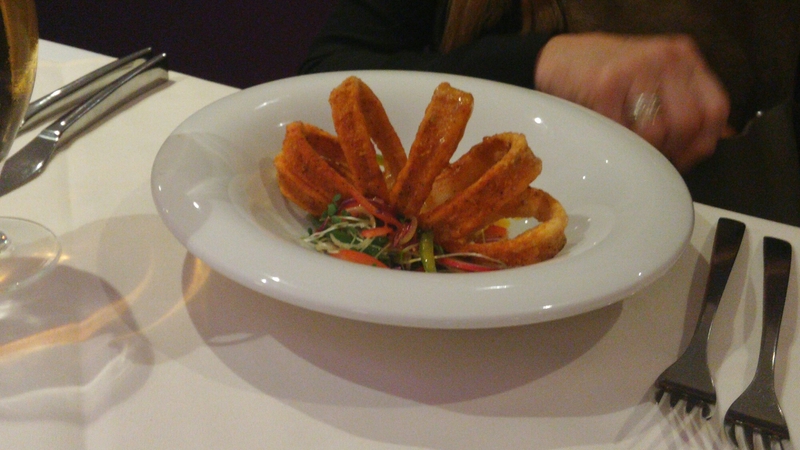 Other starters ordered included a beautiful looking Kerala calamari dish (£5.95), which came in a delicately spiced and ultra thin batter. The squid itself was just a touch on the chewy side though. 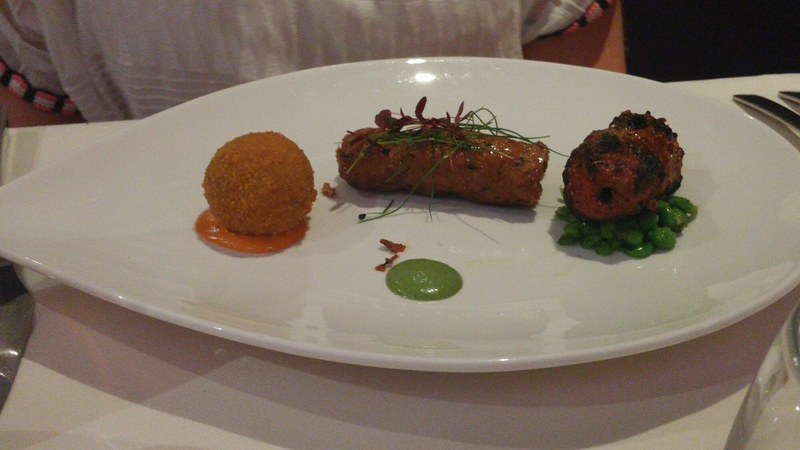 and a trio of lamb (£7.95) in the form of a sheekh kebab, a boti and a breaded fritter. These were all pronounced as lovely with crushed peas adding a nice touch of sweetness. This consisted of a silky paneer mahkni (Indian cottage cheese in a lightly spiced tomato, cream and butter sauce with fenugeek), a nice but not mind blowing yellow dal tadka (yellow lentils, with cumin seeds and plenty of garlic), a saag thumb (a pleasingly hot spinach and sauted mushroom combo with chilli and garlic ) and a thoran (a dry vegetable curry with fresh grated coconut and mustard seed, which added a nice bit of texture). The platter was completed by a crisp on the outside and pillow soft on the inside naan and exemplary steamed rice. All in all a lovely selection of dishes, but I thought it just a little overpriced. 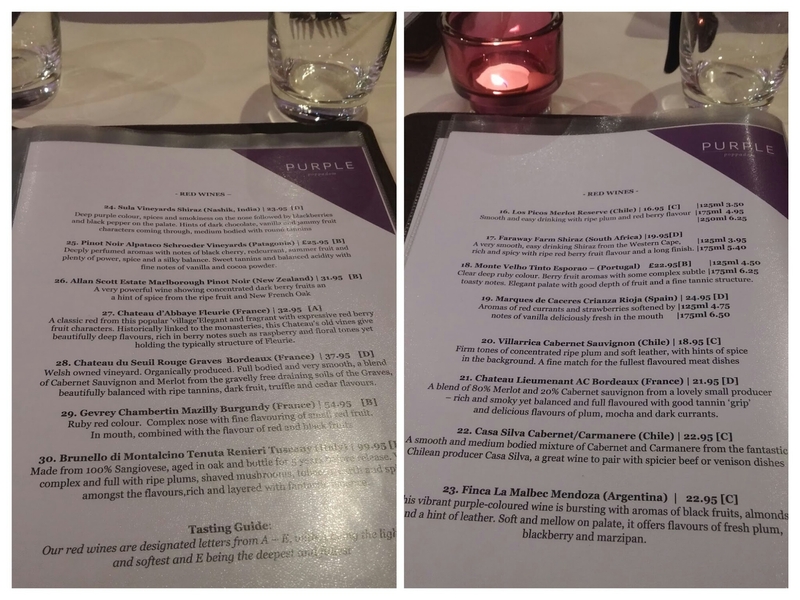 At £18.95, it was (perhaps surprisingly) the most expensive dish on the a la carte menu (which included sea bass and king prawn dishes). 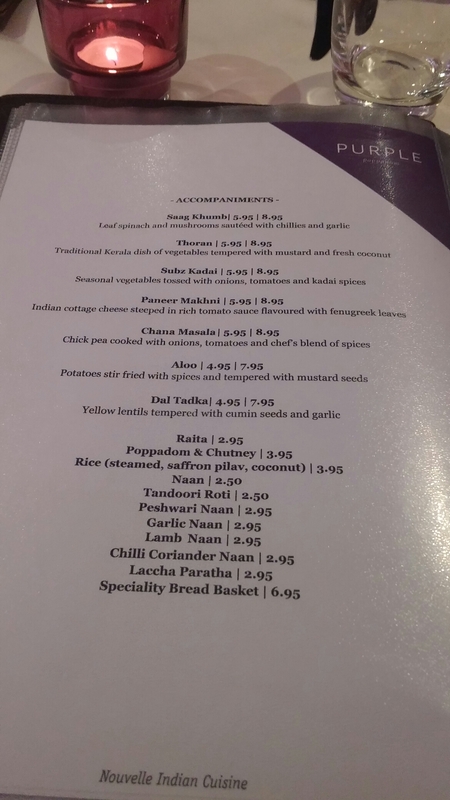 My Mother went for the Tiffin sea bass (£15.95), which is the place’s signature dish, winning Anand George the Tiffin Cup in 2008 (he won it again in 2014 with another fish dish). The two decent size fillets of pan seared seabass were perfectly cooked with a crispy skin and moist yielding white flesh. 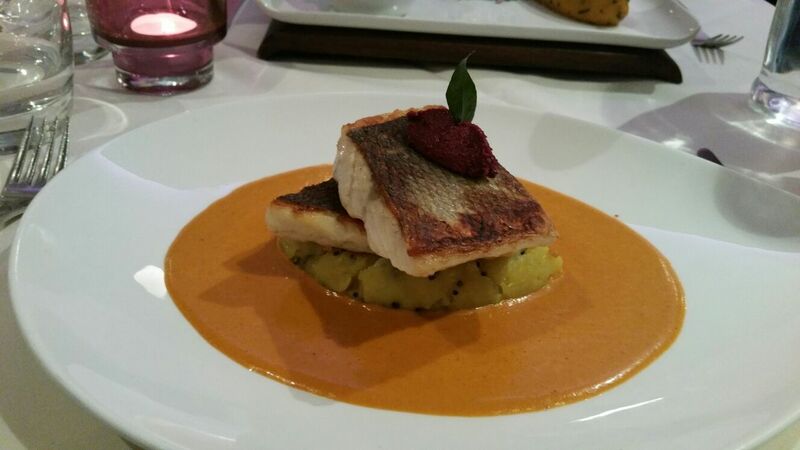 The fillets sat atop a flavoursome curry leaf infused mash and a great zingy sauce of raw mango ginger and coconut. A great dish, deserving of its many plaudits. 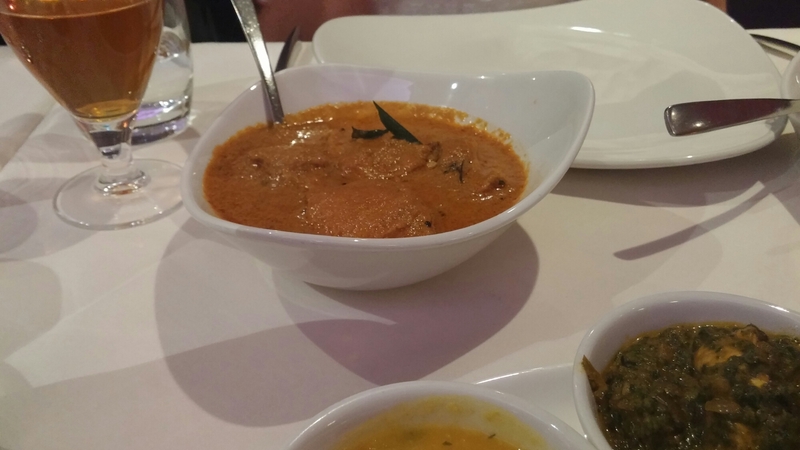 Mrs. SF had the Nadan Kozhi curry (£12.95) , which was tender chicken in a sauce that was a lovely blend of roasted coconut, tomato and spice. Not too hot but full of flavour, with the coconut giving it a pleasant creamy texture. 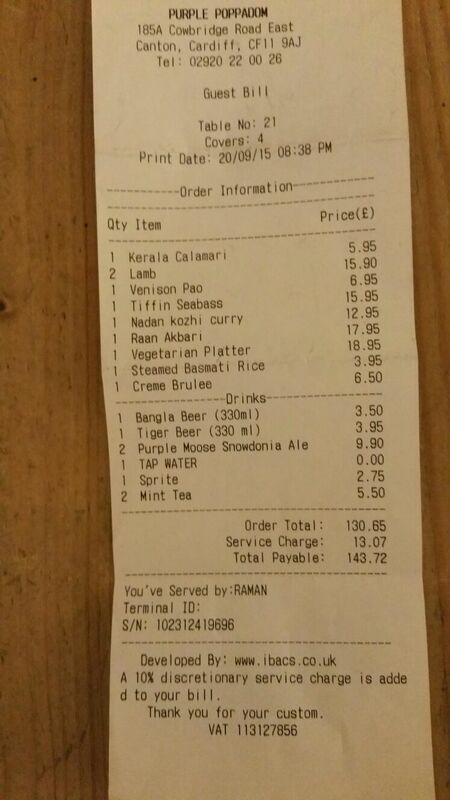 Added to this was a side of pilau rice (£3.95). The final main course ordered by our party was a Raan Akbari, a cracking slow braised lamb shank dish of Mughal origins. This came with a curried butternut squash mash, spicey jus and a playful nod to British mint sauce in the form of a refreshing mint sorbet. 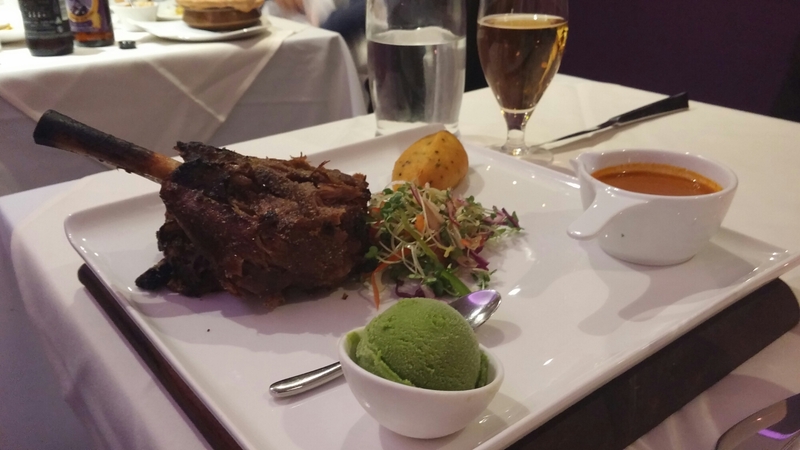 The lamb was fall off the bone tender with great spicing and a slight char from the tandoor. A dish fit for a Mughal Emperor and, along with the Tiffin seabass, the star of the show. but to me a lot of dishes (including the lamb and the seabass) are big enough not to need them. 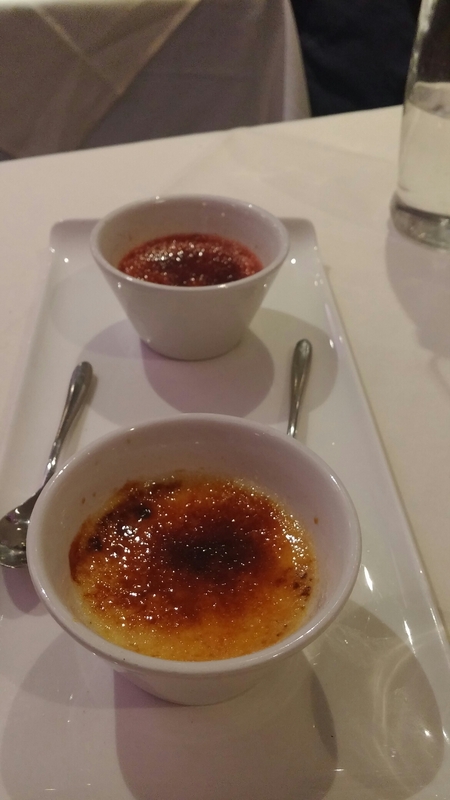 We were all stuffed so passed on pudding, bar one (not me) who had a couple of top notch crème brûlées (one rose petal and one garam masala). They have a decent selection of wines on offer and it is nice to see a German riesling on the list (great wine pairing for spicey food). have Sula Indian wines on them, which is decent enough stuff if you want to try something Indian, wine wise, with your meal. 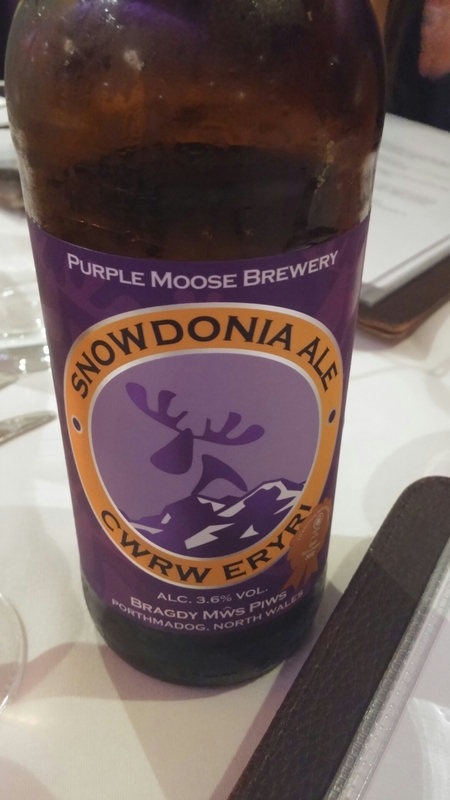 We all stuck with beer and I was happy to see a Welsh beer, in the form of Snowdonia Ale from Purple Moose Brewery (had to be that one really), featuring. This was a nice drop that went well with both my starter and main course. 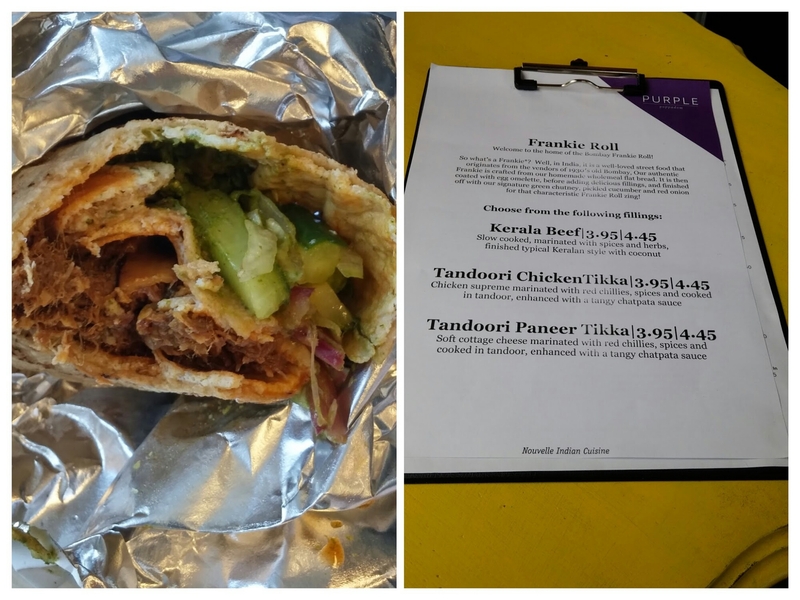 I really like the Purple Poppadum, with its inventive and beautiful spiced dishes. The food is lovely, if a touch pricey with the bill (including an automatically added optional service charge, a big bugbear of mine) coming in at just over £143 for 4 people. This was with minimal booze and only one pud. I think on balance (bar from one dish) it was worth the high – ish price. Service was very good so a tip was more than warranted (I just don’t like it being foisted on me by way of the “optional” charge added to the bill). My only real quibble was with the pricing of the veggie dish I had. 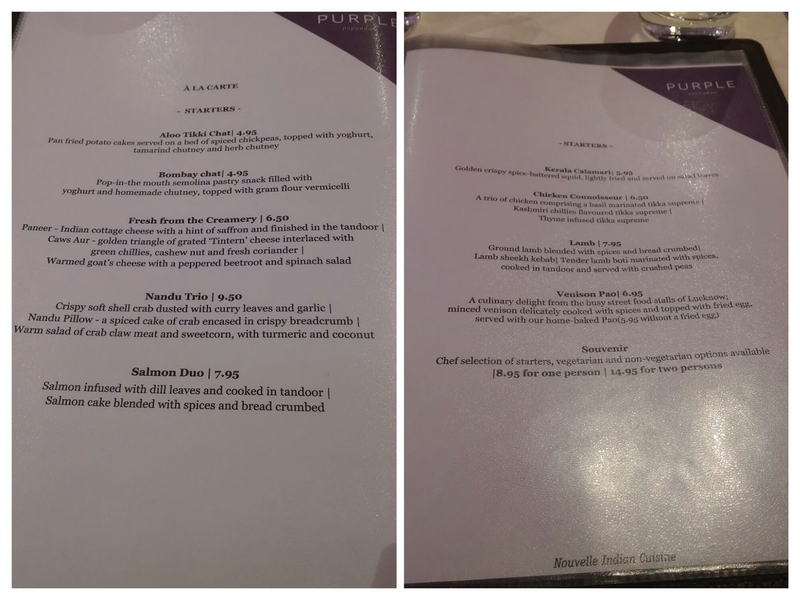 This seemed somewhat out of kilter with the pricing of other dishes, such as the sea bass and lamb where the ingredient used must be a lot pricier. Were more processes involved in my vegetarian platter? Maybe, but I doubt to an extent that would justified what to me seemed to be a pretty hefty price tag. Would I go back? Oh yes – this was far from my first visit and won’t be my last. Probably give the veggie platter a miss next time though. Nice, but not enough to justify the price tag and there is better value elsewhere on the menu. 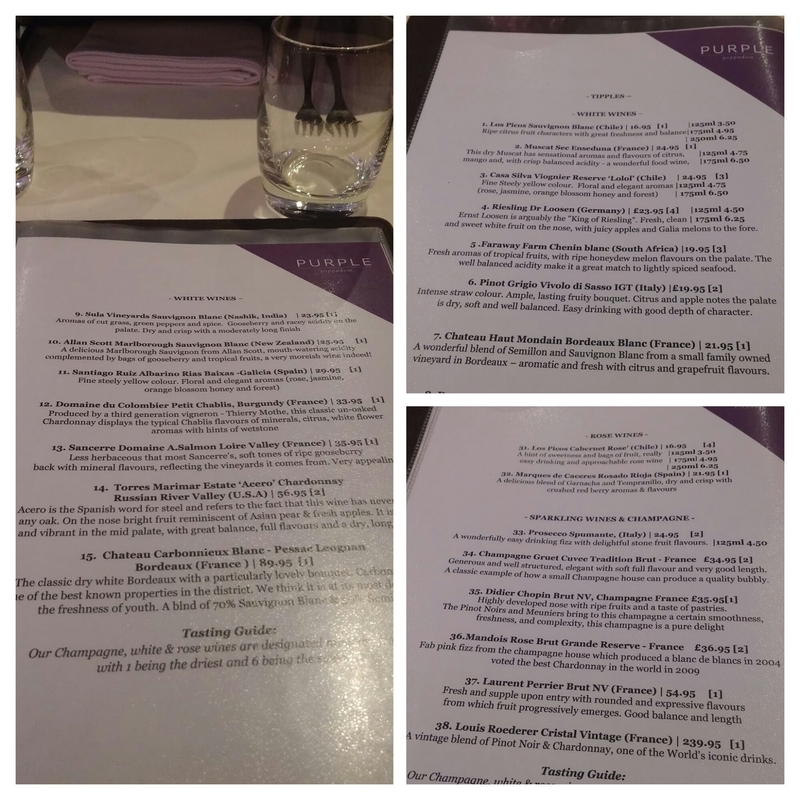 This entry was posted on Sep 27, 2015 by solicitingflavours in Beer, bitter, Canton, Cardiff, Cardiff restaurant, Curry, Drink, Fine dining, Food, Food and wine products, German wine, Indian, Indian wine, Kerala, lunch, lunchtime, Purple Poppadum, Real ale, Riesling, Street food, Wales.